Whether he’s on the road or in a recording studio, Derrick Wright, touring drummer for Adele and Toni Braxton, has been a long time Apogee user. 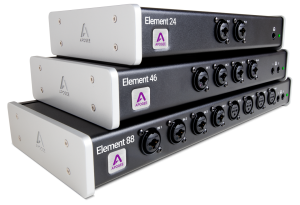 While he was in Los Angeles for Adele’s 2016 tour, Derrick stopped by Apogee to check out the new Element Series Thunderbolt Audio interfaces. We setup Element 88 to record his drums and everyone in the room was instantly blown away by the quality and clarity. The ability for Derrick to control his own input and output levels via iPad using Element Control for iOS while engineer Sergio Ruelas setup the Logic Pro X session made it easy to get up and running.